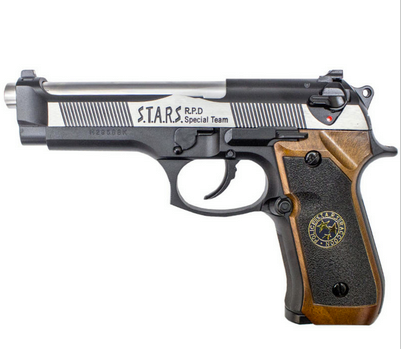 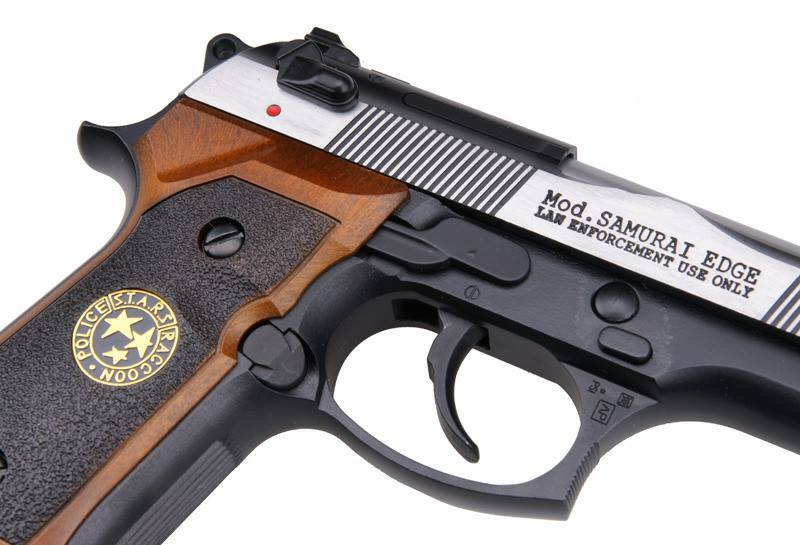 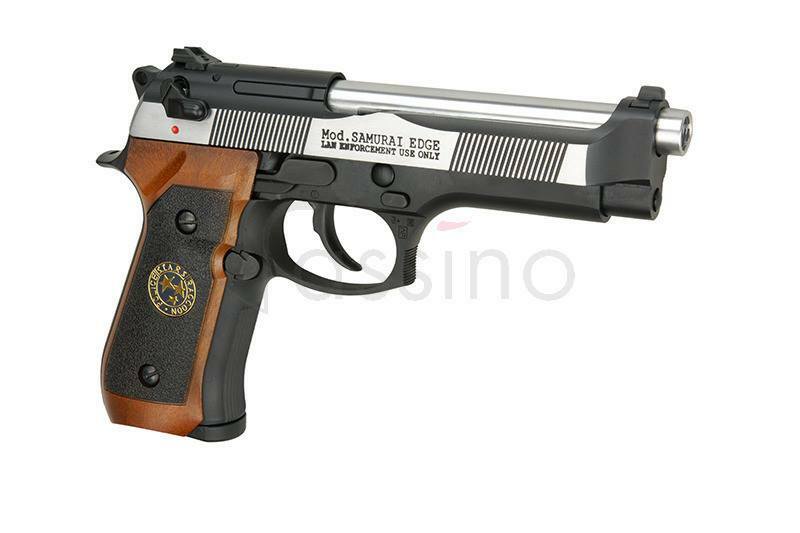 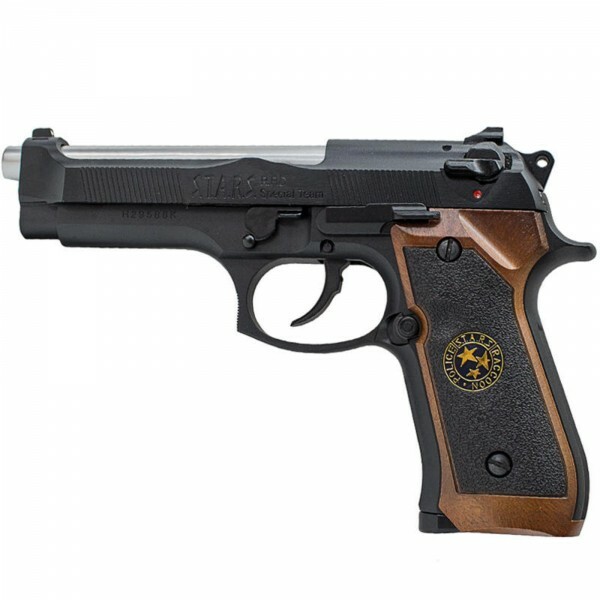 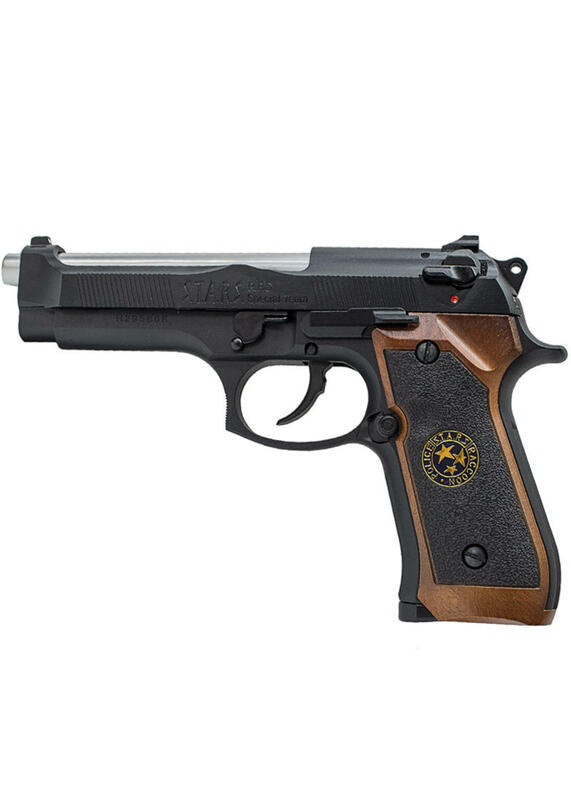 WE Bio Hazard M92 – Black is a Gas Blowback Airsoft Pistol, based on the real steel M92 Beretta but also features ‘Racoon City Police’ trademarks. 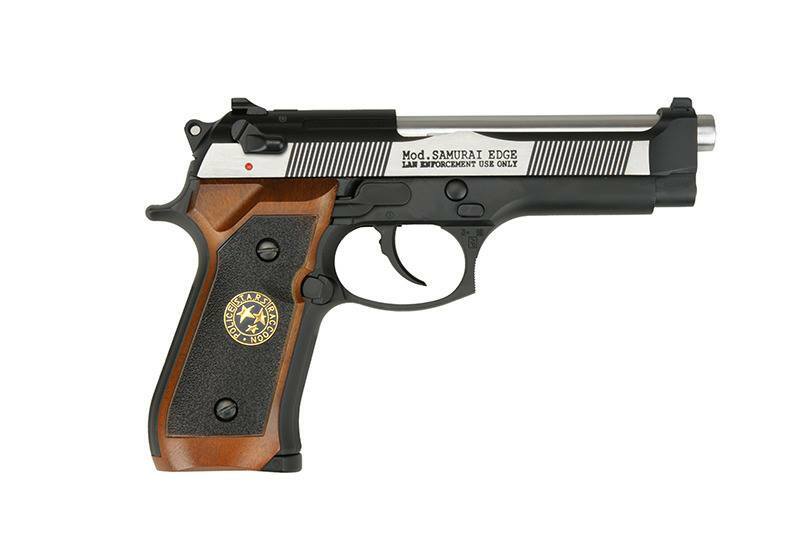 This pistol has a matt black finish and a kick to it along with a decocking safety. 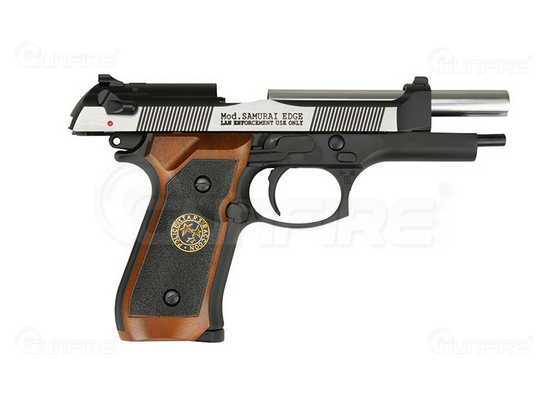 The pistol is constructed from Alloy, with a polymer pistol grip, giving the pistol a heavy weighted feel.